Keep your knees protected with medical grade quality construction from Seirus with the Hyperflex Nuclear Knee brace. More comfortable than any other brand! Ultimate protection against lateral knee joint injuries and hyperextension from medically designed vertical locking, dual pivot metal stabilizer. Medical grade hinge flexes more like your knee. Patented Hyperflex insert eliminates discomfort & increases flexibility. 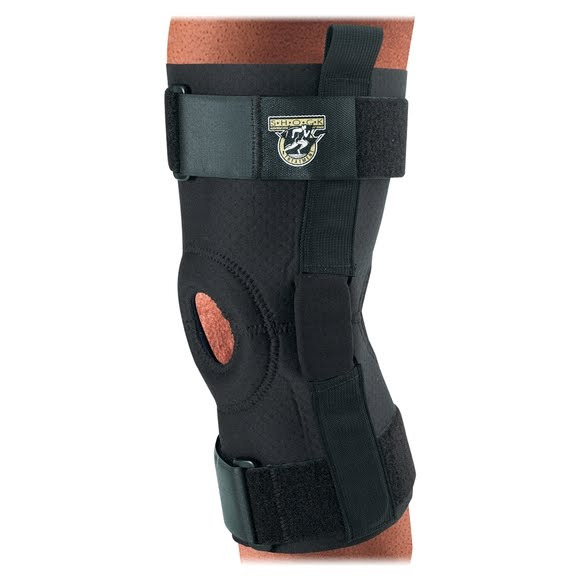 Padded patella locator eliminates direct pressure on knee cap keeping it aligned and supported. Durable webbing hinge sleeves with easy on/off finger loops. Breathable Neoprene for maximum dry comfort.